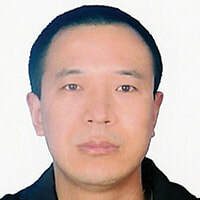 Mr. Wang majored in Sport Medicine and Traditional Chinese Medicine in China, and he is a registered massage therapist at College of Massage Therapists Ontario. Mr. Wang had eight years of experience in treating athletes with sport injuries. He focuses on pain management, and is good at combining many therapeutic techniques (e.g., sports rehabilitation, TCM Tuina, Swedish massage, deep tissue massage, cupping, scrapping, etc.) for musculo-skeletal problems.